Label all those keyrings with this simple keychain tag. Made from our thickest belt leather, it'll make a nice addon gift if you stamp or brand it with a name or initials. The keychain tage comes in three colors and I use a solid brass nickel plated grommet combined with a stainless steel split ring for your keys. 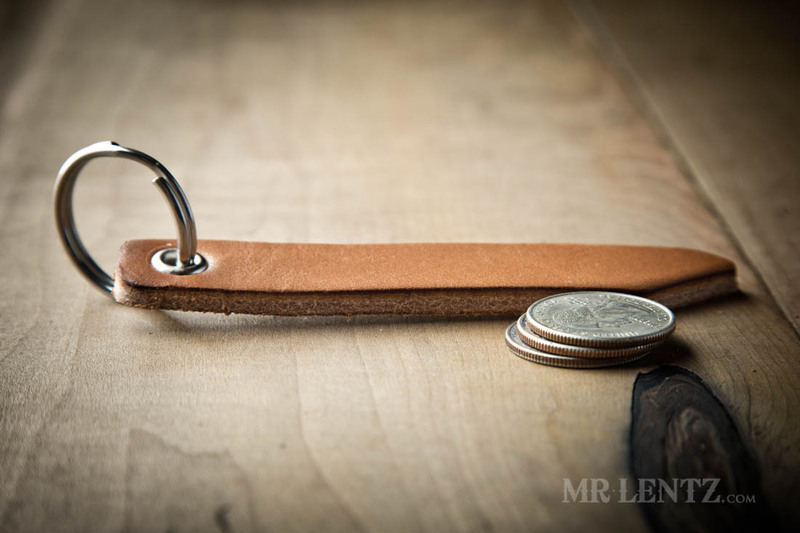 Every Keychain tag comes with a tin of Mr. Lentz Spiff N’ Shine, a handmade leather conditioner meant to keep high quality leather goods in high quality shape. This piece includes a stainless steel split ring, solid brass nickel plated grommet and U.S. Full Grain Leather. The leather part measures 4.25 inches long x 5/8 inches wide x 3/16 inches thick.